Ugh. Another heat wave. With all the sweltering days this summer has provided, you’ve likely sampled your way through every ice cream shop in your neighborhood. Luckily, Los Angeles offers no shortage of foods to cool off with. 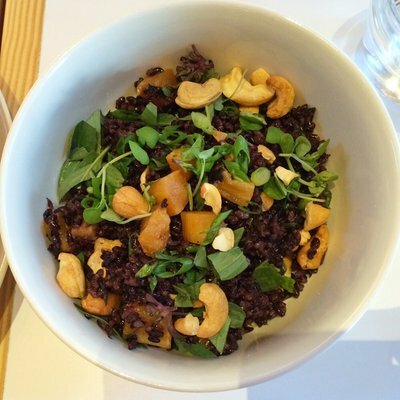 Here are some of our favorite hot weather dishes to make dinner a little more bearable. 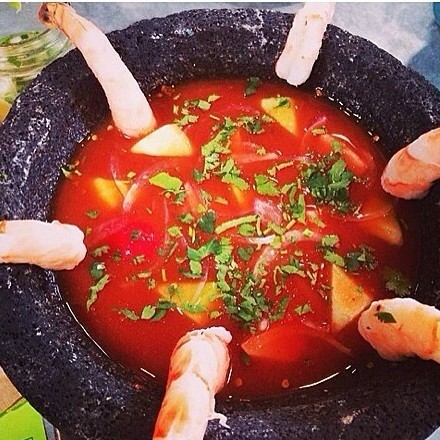 The best item at Petty Cash might be the large stone molcajetes of aguachile—pristine seafood floating in a house-made “Clamato” broth enlivened with wild Sonoran peppercorns. Equal parts grace and machismo, this chilled cocktail comes with your choice of scallops, shrimp, clams, sea bass, or “the whole f’in ocean.” It goes great with chips and a beer too. Waiting in line for ramen is fine on days when the temperature isn’t in the triple-digits. 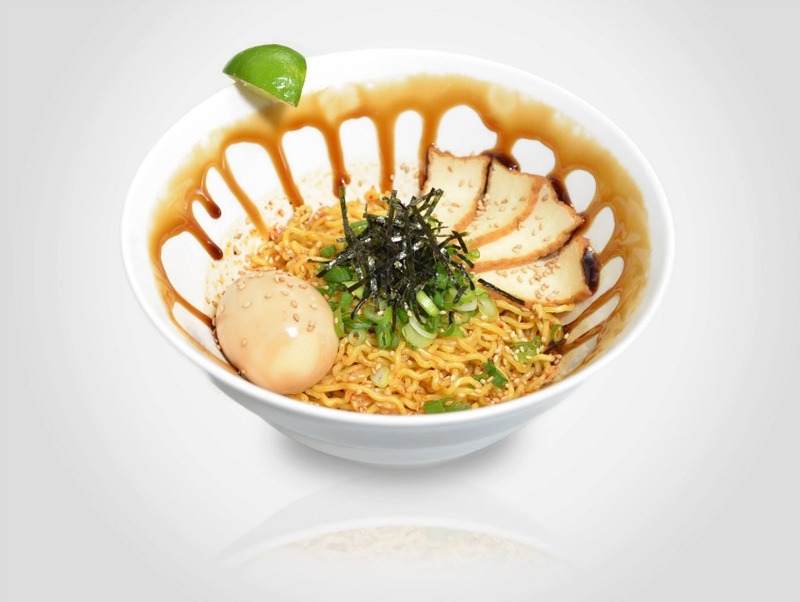 Other times, you’ll prefer the efficiency of Tatsu’s iPad-ordering system, which means getting your hands on a broth-less bowl of noodles tossed with a sweet-spicy sesame sauce quickly. Customize your “Naked” bowl with braised pork chashu or chicken, a soft-boiled egg, garlic, green onion, corn, shredded nori, crunchy breadcrumbs, and a slice of lime—it’s all the homey flavors of ramen, without the stifling hot broth. 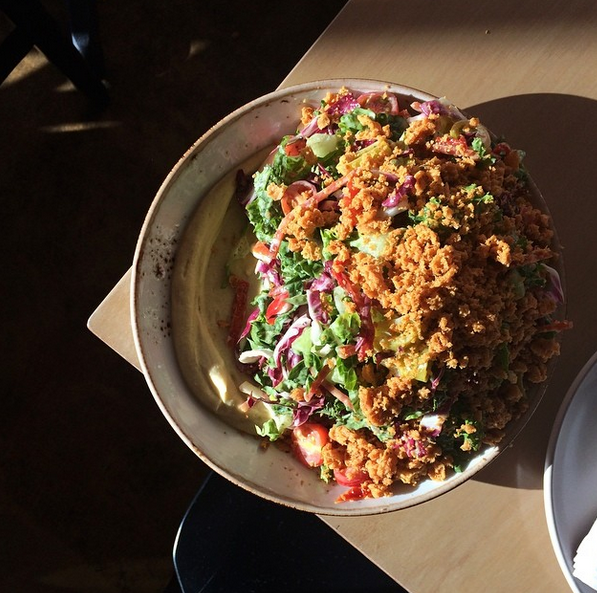 Chef Zach Pollack tweaks the classic Italian chopped salad at his Silver Lake restaurant by offering an “improved” version, made with little gem lettuce, kale, escarole, and radicchio combined with slices of aged salumi, fried chickpeas, and creamy chickpea spread. The resulting combination of textures and flavors resembles a full meal rather than a humble side dish. One of Chinatown’s better-kept secrets is this modest Vietnamese café on Broadway—$5 gets you three fat rice papers rolls filled with slices of pork sausage, shrimp cakes, crunchy wonton strips and fresh herbs. 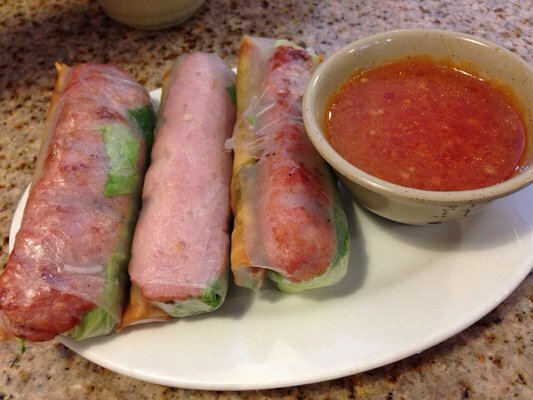 Dipped into a cup of slightly sweet sauce heavily seasoned with fish sauce and garlic, these refreshing summer rolls are the perfect light lunch or dinner (Gigo’s closes at 7 p.m.!). Roy Choi tips his snapback to Hawaiian culture with a clever take on poke at his new-wave Korean restaurant located at The Line Hotel. 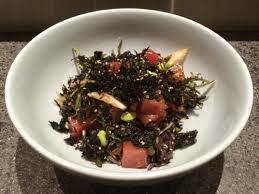 Large chunks of raw yellowtail are splashed with a shoyu vinaigrette and tossed in a big bowl with smoked sesame seeds, edamame, shaved Maui onion, sea beans, and a handful of chicory greens. Mixed with a bit of steamed rice, it’s absolute killer. This suave Sunset Strip gem is a charming (air-conditioned) hideaway where one can enjoy a glass of French wine and house-made charcuterie. Spread the jiggling half-spheres of savory smoked oyster mousse, topped with clarified beef broth gelée, on slices of baguette to recall a bygone era when cooling off meant enjoying a plate of jellied meat products. Don’t believe us? Head down to Musso & Frank’s and try the jellied beef consommé with a side of lemon. 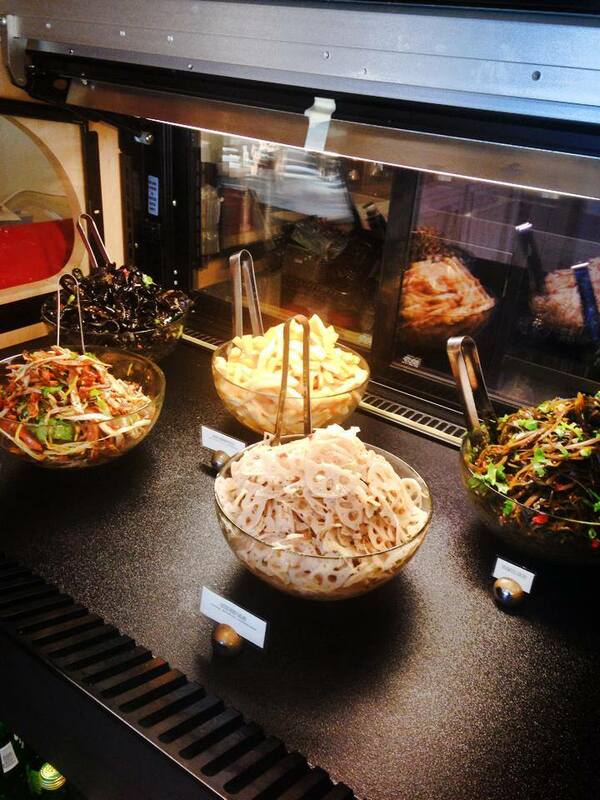 Silver Lake’s popular Taiwanese café is best known of it’s beef noodle soup, but turn your eye towards the deli case for a rotating selection of refreshing appetizer salads. Doused with vinegar and sesame oil, the julienned potato salad is far cry from the mayo-heavy American and all the better for it. Combine it with wood-ear mushroom salad, pig ear salad, bamboo shoot salad or daikon radish salad for a sampler plate that pairs wonderfully with a green tea-and-boba-topped Taiwan beer (yes, that’s a thing). 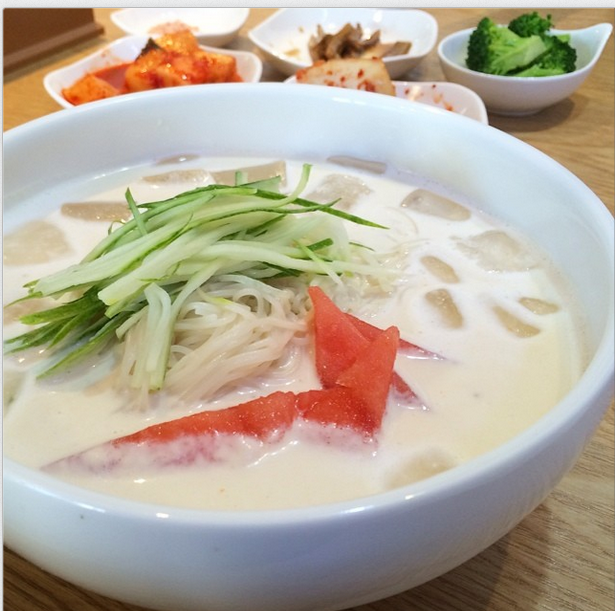 This Koreatown newcomer specializes in a hearty Korean soup called yukgaejang, but during the summer months you’d probably prefer their kong gooksu, chewy noodles served in a nutty chilled soybean milk broth. Redsoup’s version comes topped with a slice of watermelon and cucumber for extra refreshment. Add on an order of garlicky pork bossam if you require something meatier. This Melrose neighborhood sushi bar is famous for it’s build-your-own chirashi bowls, which offer combinations of quality fish at bargain prices. Most sushi restaurants only offer chirashi deals at lunch, but Murakami lets you indulge in the bliss of cheap, quality sushi all day long. 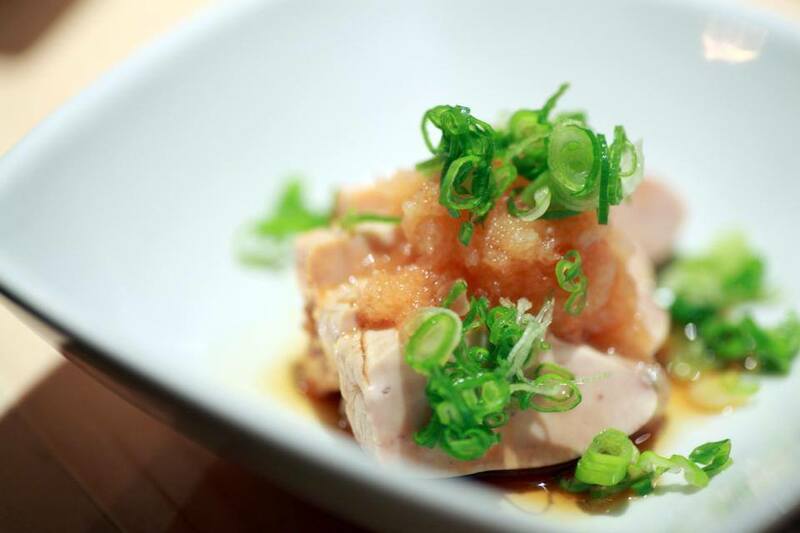 On those night you don’t have the energy (or funds) to spring for an elaborate, high-end sushi meal, this bustling gem happily comes to the rescue.